Ok so I know its a while off but in around 2 years time I will (hopefully) go to university. However I don't want to give up drums and I wont be allowed to play an acoustic kit in a flat. But thing is the problem/annoying thing I have always found with electric kits is there 'drums' aren't normal size (12" 14" 16" etc) and i find them awkward and uncomfortable to play. So my question is, is there anyway to get electronic drums that are acoustic drum sizes? ELECTRIC DRUMS and have the coolest mesh kit in the world. The only true electrically manipulated percussion. ELECTRO ACOUSTIC DRUMS can do what no other type can do. Fully controlled feed back and tones unattainable on ANY other kit or module! There's also the option of an acoustic to electronic conversion kit . There are several companies out there now making acoustic style electronic kits and also there's the DIY method . 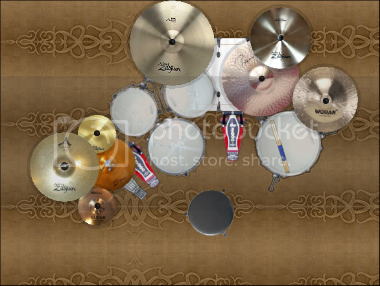 A set of mesh heads and some triggers and your still playing full size drums . Nice thing also is with mesh heads the option for virtually silent playing is possible without a major compromise in the feel of the kit .